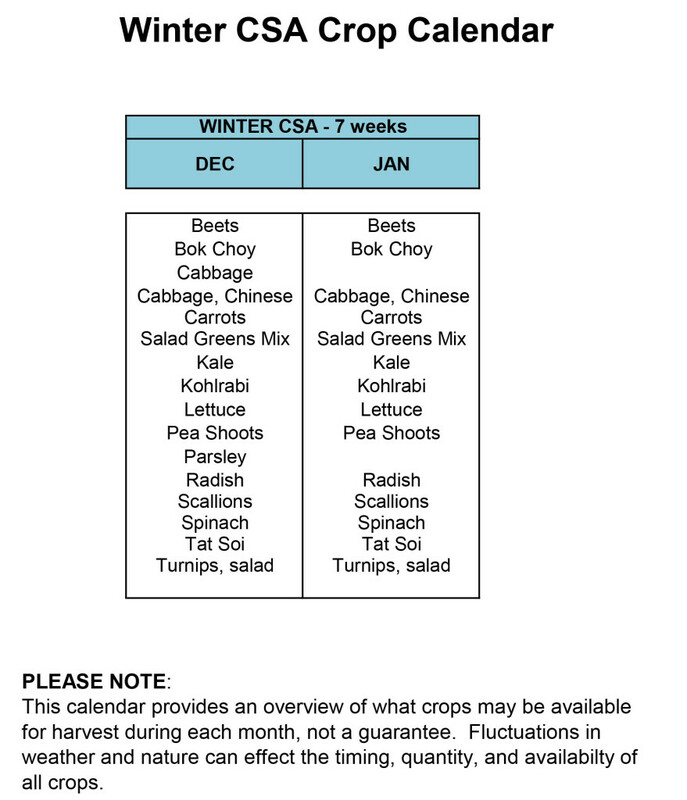 Our Winter CSA is 7 weeks of delivery in December, January, and early February. We hope to deliver each week but snow or slow growth due to cold may mean we will need to skip a week. To allow for this, we offer 7 weeks of delivery over an 12 week period in winter: between Nov 30 and February 14. We anticipate 4-5 items in the share per week. The winter share features crops that grow well in cold weather: lettuces, salad and cooking greens, pea shoots, and root crops like carrots, beets, salad turnips, and radish. 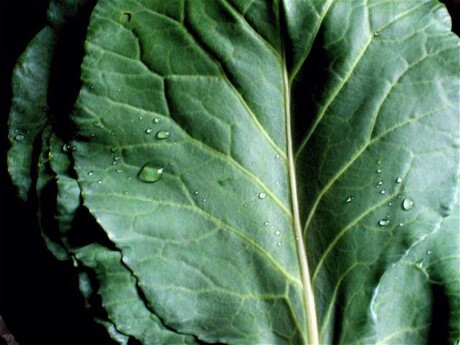 You can’t beat the fresh, crisp and sweet flavors of locally grown winter crops!